Jamie’s Fund has recently been mentioned in a number of newspaper articles. Links to two of these are given below. We’d be very interested to get any feedback you may have. I ‘Tweeted’ last week that staff from CWP were leaving for a trip to Kisizi to provide training and support to staff and share best practice. All at Jamie’s Fund are eagerly awaiting their return to hear about their experiences. We will soon be adding some new pages to our website. We hope to be selling some merchandise to help raise funds in the run up to Christmas. We will also be adding a page to acknowledge organisitaions who have provided Jamie’s Fund with support or services during our development and adding some links to other useful websites. So watch this space! If you would like us to advertise or just mention your fundraising event please get in touch with me on 01625 439430 and we can talk about how that can be achieved. This is my first post on the website as Chief Executive of Jamie’s Fund even though I have been working with the Trustees since April. It has been a busy 6 months but you may wonder what has been going on! There has been a lot of work ‘behind the scenes’ by the Trustees and myself developing the plans for the building of the new mental health unit in Kisiizi, updating the website, applying for funding and working on the future direction of Jamie’ Fund. We feel it is now even more important than ever to publicise the work of Jamie’s Fund to a wider audience to increase awareness of mental health issues in Uganda and to help us raise vital funds to enable us to fulfill our pledge to build the the new unit. It is amazing how much has been raised by supporters of Jamie’sFund – £58,000 so far – but we need to keep going! If you have any ideas for fundraising or are a member of a group or club who you think might be interested in hearing more about the work of Jamie’s Fund, please get in touch. We can help support you to develop your fundraising ideas into a successful event and also come and talk in person about the work of Jamie’s Fund. Please contact me on 01625 439430 or email fiona.clark@jamiesfund.org.uk and I will be happy to talk through how we can help. I will be keeping you up to date with news from Jamie’s Fund via this page on the website and we hope to develop a newsletter soon to send out to all our supporters. 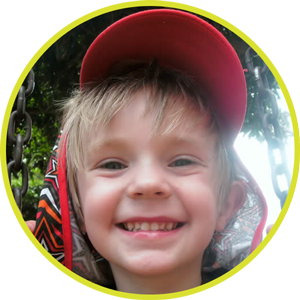 If you have any news regarding Jamie’s Fund or fundraising events you wish to tell us about or publicise on the website just let me know – I’ll be happy to help.